The Internet is capable of answering almost all our questions, on many occasions even the most incredible ones. Although sometimes it might take us some time to find the answer we're looking for. OOLOO is an Android app that provides you with real people to attend your needs. This service offers its users a new way of finding what they need. Unlike other programs like Siri or Sherpa, the assistance is carried out by real people that always understand you and take into account aspects such as your location to be able to offer you the help you really need. 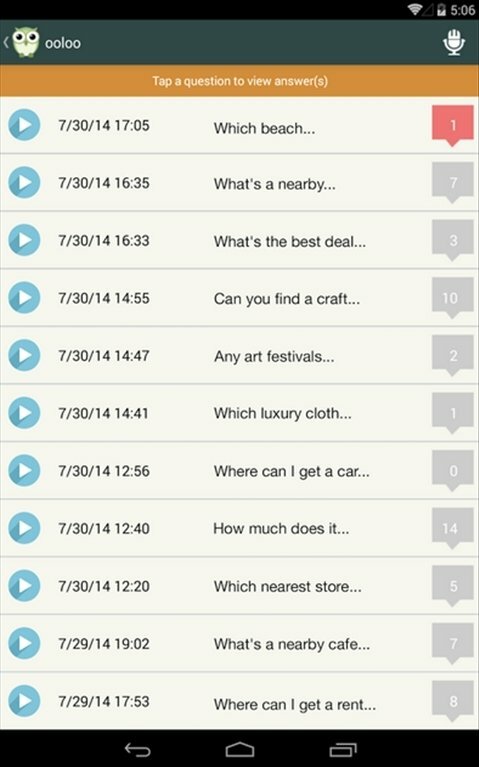 Just make a question and let OOLOO's assistants find the right answer. You can add tags to categorize your questions and rate the answer received.